In Marcel, the first of three elegant novels by celebrated Belgian novelist Erwin Mortier that have just been published in the United States by Pushkin Press, a family is haunted by the late Marcel, the favorite son, whose fate is a cold dark secret for the novel's curious 10-year-old narrator. Then he discovers a chest of keepsakes from Marcel's youth and learns that Marcel died on the Eastern Front in an SS division composed of Flemish volunteers--a mark of shame for the family in post-war Belgium. "Night always fell suddenly," Mortier writes in his second novel, My Fellow Skin, describing the revelation of the casket at the first funeral young Anton attends. In this era, it's easy to imagine that there is a kind of darkness that extends from the war. But Anton's coming of age is lightened by burgeoning love, when he meets his thoughtful, compassionate new classmate Willem. In Shutterspeed, Mortier gradually reveals painful family secrets for Joris, who lives with his aunt and uncle. As Joris grows, photos and film prompt Joris to fight the passing of time in order to reconcile with the death of his father. Whether it's exploring the effects of collaboration during the Nazi occupation, the absences of loved ones or the vulnerable nature of male intimacy, the literature Mortier creates greets its readers warmly, and has in turn been met with numerous esteemed awards in Europe. Furthermore, his fourth novel, While the Gods Were Sleeping, also translated and published by Pushkin Press, won the AKO Literature Prize, one of the highest achievements for an author writing in Dutch. More summer reads: "I do think that when you're outside, and it's summertime, you want to read to something that's pretty page turn-y," said bestselling author John Green regarding his guide to summer books. Bustle discovered "10 of the best thrillers to read on the beach that will leave you with book-shaped tan lines (and you won't even mind)." Brightly offered the "ultimate summer reading list for 9–12 year olds." Strictly biz: The Wall Street Journal shared "10 beach books from J.P. Morgan's summer reading list." The Los Angeles Times offered its "summer reading guide: The 136 books you'll want to read." "And what is the use of a book... without pictures or conversation?" The Guardian showcased the "10 greatest quotes from Alice in Wonderland." Alex Hourston, author of In My House, shared his picks for the "top 10 unlikely friendships in fiction." "Blow" is a "shelf that looks like a paper blowing up in the wind, formed by bending A4 size thin steel plates with molds," Bookshelf noted. Sharon Bolton is the author of seven mystery novels, including the Lacy Flint series. She lives and writes in England, though her latest book, Little Black Lies (reviewed below), is set in the Falkland Islands. The standalone novel centers on three people who have all confessed to the same crime: kidnapping and killing a local boy, the latest in what is believed to be a string of missing children. Little Black Lies is a complicated novel, weaving together several mysteries in one. Can you summarize it? On a fundamental level, it's about three friends whose lives have been torn apart by tragedy, and how they manage to find their way home. Not in a literal sense, but metaphorically, as they get back to a place where they can be whole again as people in their own right, and where they can, to the extent possible, rebuild the relationships they used to have. It is also about people who live in a very isolated community, and the impact that that isolation and smallness can have upon a society, especially when something goes wrong. And as a mystery novel, I was intrigued by the idea of three people confessing to the same crime, when two of them have to be lying. Why would they do that? How could that happen? You chose to set Little Black Lies in the Falkland Islands, in the very small town of Stanley. What prompted this? I particularly love isolated communities and island communities, because there's that sense that when the sun goes down and the planes stop flying, there's no way to escape and nowhere to go. I love that claustrophobic feeling, and it works very well in mysteries. I feel very strongly that I am a writer of British mysteries, and my stories have got to be set in the British Isles among British people, because that's what I know and that's what I do and that's where I get my inspiration. But all the islands around Britain have been done to death by other crime writers. I've done them myself; my novel Sacrifice is set on the Shetland Islands off the coast of Scotland. Then someone suggested to me: What about the Falkland Islands? They are British islands. They're inhabited by people who believe themselves to be British and who want to remain British. I was struck by the dichotomy between the familiarity of the British setting and the exoticness of it being so far away, just off the coast of South America. It's clear in the novel that you've done a ton of research on the area. You've covered everything from the wildlife to the culture of Stanley's small-town politics. Did you visit the islands while you were writing? It wasn't possible to do a research visit, but I very much intend to go as soon as possible. I don't believe it's necessary to visit a place to capture its spirit. I did a huge amount of desk research. I ordered and read every book on the Falkland Islands that I could find. I looked at maps, I looked at photographs. It's a lot easier now than it might have been 10 years ago, because many people on the islands are heavily into social media. Lots of people there have blogs that I was able to follow, they're on Twitter, they have Facebook pages. There are all these innocent people on the Falkland Islands with no idea that I've been stalking them online. But it gave me a very, very strong feeling of the place. I immersed myself with the desk-space research, wrote the book, and then was lucky enough to find three people who have lived there and know the islands well, and they read the book and pointed out mistakes and told me where I got it wrong. You've said before that you are "compelled to imagine how [life] can go wrong." How is Little Black Lies an exploration of that? Quite a few years ago, I was chatting with a woman in the village where I lived, and I asked her if she had any children. She physically recoiled from me. And I thought, "What on earth have I done?" Later I found out that some years earlier her husband and her two children had been killed in a car accident, and her life had never been the same again. That struck me quite hard, the idea of someone who has to go on when their life has been taken away. And then there was a serious road traffic accident very close to where I live. A woman had been driving a carload of children home from a party, and something had gone horribly wrong on that journey home and she crashed the car. She survived, but several of the children died. How on earth do you live with that? So these two things were in my head and I put them together: What if the one woman was best friends with the other? How would that play out? That was the start of it. But because it speaks so deeply to what, as a parent, are my worst fears, that something might happen to my own child or to children in my care, it was a very personal--and at times quite distressing--experience to write. What was it like to write the book in three distinct parts, switching perspectives between each part and weaving those back together? It had to be that way because of the original idea of the story, with three people all confessing to the same crime. They each had to have an equal share and point of view in the narrative to enable the reader to get inside their heads, to understand why they are the way they are, where they're coming from, what's driving them and what they're capable of. Writing the same scene twice from different perspectives was quite tricky, but I did get a lot of satisfaction from it. It was interesting to show how two characters can react very differently to the same thing. There's so much guilt and so much grief in this book and for all three characters. What I found very interesting as I was writing this was the question of which is worse: guilt or grief? I particularly liked the link I was able to make with the poem, "The Rime of the Ancient Mariner." I loved, in a very dark way, this idea of this rotting carcass being hung around someone's neck, and them having to carry it with them throughout life. In many ways, all three of the main characters have that thing around their neck, and they have to learn how to throw it off in order to live properly again. Would you say that that guilt and grief pushes the characters to act outside of what we'd normally consider "right" and "wrong?" Into the grey area between the two? Imagine reading a thriller and suddenly realizing the much-hated main character is you. And the disclaimer about resemblances to real people being coincidental has been crossed out. This is the premise of first-time novelist Renée Knight's Disclaimer. Catherine Ravenscroft, a documentary filmmaker in London, finds a book on her nightstand one evening and starts reading it. With horror, she recognizes the story is about her and something that happened 20 years ago, a terrible incident no one--including her husband--is supposed to know about. Catherine doesn't recall buying the book or how it ended up on her nightstand. It's published under a pseudonym by Rhamnousia, a self-publishing entity named for the goddess of revenge. As Catherine investigates the book's origins and author, her dark secret threatens to surface and shatter her family and life. Disclaimer alternates between Catherine's point of view, written in third person, and the first-person point of view of the man who's tormenting her with the book. This creates an unsettling experience, as if readers are asked to side with the person who stalks Catherine and wreaks havoc on her. It also keeps Catherine mysterious, making it unclear why she doesn't work harder to defend herself. Discover: A woman’s deep, dark secret is revealed--in book form, written by an avenging stranger. Flame-haired, vintage clothing-loving Delia Moss is having a rough time. The same night she proposes to her longtime, live-in boyfriend, Paul, she learns the devastating news that he's having an affair. Although she's in her 30s, Delia reluctantly moves home to Newcastle with her introverted parents to escape the situation. Now she's gumming up at her dead-end job, and she misses her dog. 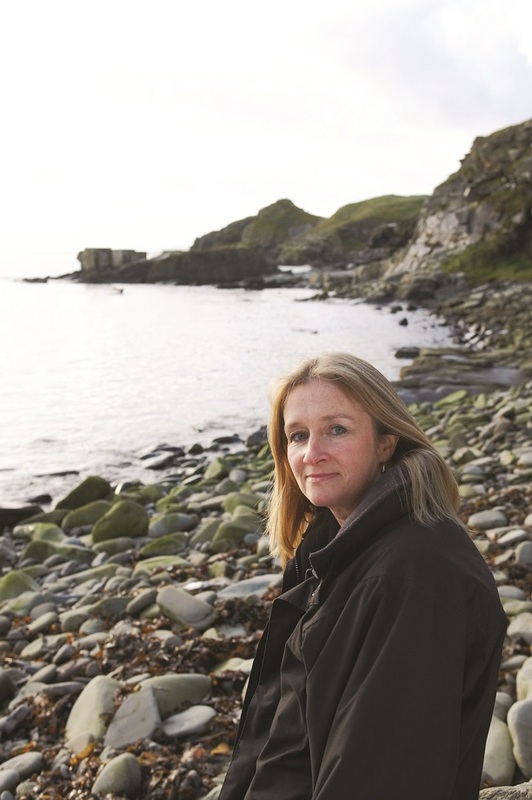 Mhairi McFarlane (You Had Me at Hello) creates a charming story. Delia is an unassuming and endearing heroine, who's kind to her overweight, video-game obsessed brother, and struggles valiantly to do the right thing. Readers will root for her to find happiness despite the obstacles McFarlane keeps tossing in her way. An impulsive move to London lands Delia a new job and a new boss with a big secret. A mysterious reporter begins blackmailing Delia with information that could get her fired, forcing her to call on reserves of courage and cleverness she didn't know she possessed. Worst of all, she comes face to face with the woman with whom Paul was cheating. Meanwhile, Paul is moving hell and high water to win back a conflicted Delia. Discover: The irresistibly charming story of a woman losing everything in order to find herself. 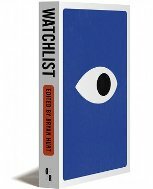 In Watchlist's introduction, editor Bryan Hurt describes the tender surveillance of his newborn son on the family's high-tech baby monitor, and from that anecdote, it's clear that the anthology bears more in common with daily life than the spy thriller its name might evoke. In this diverse and daring fiction collection, writers of all stripes deal with the act of watching and being watched, subverting and challenging surveillance's obvious connotations and raising questions about our intricate dance with privacy and transparency. The collection's bare-bones theme works in its favor; Hurt mentions that he gave few rules or guidelines, and the result is a series of pieces that speak to each other in novel, unexpected ways. Cory Doctorow's "Scroogled" gives an unsurprising nod to Google, our current Information Overlord, but also manages humor and warmth, exploring two friends' relationship and the government's ineptitude at organizing the information it gathers. Alexis Landau's account of a young mother who miscarries explores neighbors and the strange comfort of daily interactions with the cashier at a corner store. Often, the ways in which people are inherently unknowable serve as the center of these stories, as with Sean Bernard's excellent "California," where neighbors meet to watch mysterious, voyeuristic footage of a TV host's private life. Discover: A daring and diverse anthology featuring new and established voices with novel perspectives on surveillance--the act of watching and being watched. Discover: A complex mystery about missing children and people pressed to the limit in a small community in the Falkland Islands. Lunch with a Bigot is a collection of essays by journalist and Vassar professor Amitava Kumar (A Matter of Rats), written and published over more than a decade. The book is divided into four sections: reading, writing, places and people. In practice, these themes flow into each other and echo across the divisions. Kumar is an artful, frank and clean-cut writer, with a compassionate curious mind and a dry sense of humor. He includes his personal responses in his journalism and maintains his questioning skepticism even in his most emotional essays. Discover: The wide-ranging journalism and personal essays of a compassionate, skeptical writer. With an ingratiating style very similar to David Sedaris, performance artist David Crabb's Bad Kid has the ability to describe horrifying events and make them both hilarious and touching. Growing up gay in the early 1990s in San Antonio, Tex., was tough, but Crabb honed his navigation skills and found acceptance among a high school subset of drug-fueled goth kids. Crabb begins his first day of high school believing he can keep his gayness undercover, but, "By the time fifth-period gym class rolled around, I had never been more sure I was gay," writes Crabb after surreptitiously observing the hyper-masculine junior and senior boys. Gym class is perilous ("Don't look down, don't look down...," he warns himself in the locker room) but it's also where he meets his first friend, Greg. Discover: An affectionate, candid and evocative memoir about the sloppy, dangerous and exhilarating experiences of teens trying to create their path. In 2005, Lt. Colonel Bill Russell Edmonds spent a year embedded with an Iraqi army unit in the city of Mosul. As an American Special Forces adviser, he oversaw interrogations of newly captured suspected insurgents. Initially, Edmonds could neither speak Arabic nor directly command his Iraqi counterparts, forcing him to rely on translators and the patient guidance of an Iraqi intelligence officer to carry out his mission. That mission became a frustrating moral test as Edmonds was frequently required to prevent the Iraqis from treating their prisoners too harshly, which sometimes allowed murderers and rapists back on the street thanks to a lack of confessions. A mix of monotony, malaise, muddied morals and a disintegrating long-distance relationship festered into a silent, psychic wound. In 2011, while living with his wife and daughters in Germany, Edmonds's latent PTSD became a full-blown psychiatric crisis. Over the course of 30 days, he developed manic symptoms, delusional thoughts and insomnia, which finally drove him to seek help from the army's mental health services. He was turned away for not meeting the treatment threshold. Luckily, Edmonds found a therapeutic outlet by writing about his wartime experiences. Discover: An American adviser's experience with Iraqi interrogators leaves lingering spiritual wounds. In Joan of Arc, historian Helen Castor returns to the subject of powerful medieval women that she explored so successfully in She Wolves. The story of the Maid of Orleans is well-trodden ground: the Library of Congress has more than 1,400 books related to the topic in its collection. Castor brings a new twist to familiar accounts, signaled in the use of "a history" rather than "a biography" as a subtitle. Instead of starting with Joan, she begins with the turbulent history of 15th century France, placing Joan's achievements within the context of the bloody civil war that began with the assassination of Louis, Duke of Orleans, at the instigation of his brother, the Duke of Burgundy, in 1407. Castor takes the reader step-by-step through the labyrinthine saga of a France divided between Burgundians, the supporters of the French royal family, and the opportunistic claims of England's Henry V to the French crown. Joan appears in the narrative one-third of the way through, when all hope of the French dauphin claiming his throne seems lost. Even after Joan emerges, though, Castor never loses sight of the larger picture, placing her within the context of previous French visionaries, French and English political courts and the realities of 15th century warfare. Discover: Joan of Arc in historical context. Firmin DeBrabander begs to differ with gun rights organizations in the United States who insist that the Second Amendment--"A well regulated Militia, being necessary to the security of a free State, the right of the people to keep and bear Arms, shall not be infringed"--is "the 'teeth in the Bill of Rights,' providing the force that protects and preserves all other rights." In his first book, he takes a philosophical approach and delves into the justification offered by groups such as the National Rifle Association to make a strong case for why guns do not, in fact, make Americans free. Citing philosophers--many of whom the NRA also uses to support their cause--such as John Locke, Machiavelli and Thomas Jefferson, DeBrabander illustrates flaws of logic expressed in the gun rights movement. His dissection of their writings and beliefs is presented in an easily accessible manner, which emphasizes how the proliferation of firearms threatens democracy and oppresses its citizens. He adds statistics and studies to counter arguments such as guns are the equalizer between the sexes and Stand Your Ground laws provide deterrence to crime. He then goes on to assert that these actions and policies encourage the environments for which they purport people need guns. Though clearly in favor of stronger gun regulations, DeBrabander also points out that the underlying issues of crime must be addressed; removal and strict regulations of firearms alone will not solve the problem. Discover: A philosophy professor pokes holes in the argument that guns ensure freedom. Like its author, Healthy Brain, Happy Life is impossible to pigeonhole. On one level, this is a delightful heroine's journey to self-acceptance. However, the heroine is a highly acclaimed neuroscientist, so on an equally enjoyable level this is a compelling treatise on how the brain functions under the influence of exercise, nutrition, social connections, service to others and meditation. Wendy Suzuki begins with, "One day I woke up and realized I didn't have a life. As an almost-forty-year-old award-winning, world-renowned neuroscientist.... I was really good at engaging with science and advancing my career, but it seemed that I was really bad at living." So she decided to conduct an experiment on herself, applying all she knew about neuroscience, and the results were life altering. Since she was about 20 pounds overweight, she began with an exercise regimen that incorporated verbal affirmations (called intenSati). Soon she became a trained instructor and incorporated the routines into her "Can Exercise Change Your Brain?" class, studying the effects of exercise on memory and retention. Suzuki ends her experiment with meditation--which is not nearly as easy for her Type A personality as aerobic exercise. Discover: How exercise, meditation and the brain's plasticity can help us align our body, mind and spirit to become the best version of ourselves. Robyn Schneider (The Beginning of Everything) fills this absorbing novel about second chances with hilarity and heart. Latham House is a sanatorium for those diagnosed with incurable tuberculosis. Patients wear sensors to monitor their temperatures, heart rates and sleep cycles. Seventeen-year-old Lane Rosen is the new kid at Latham, desperately hoping for a miracle so he can return to his scholarly life and his girlfriend. Sadie Bennett--who's been at Latham for more than a year--initially isn't pleased when Lane arrives because of a past misunderstanding during summer camp when they were 13. But she soon welcomes him into her gang of friends--who cause mischief inside and outside of class--and Lane and Sadie inch toward an intimate relationship. But the greatest development for all may be a new antibiotic on the way that promises a cure for their strain of tuberculosis--but six weeks may be too long for some. Schneider's lead characters alternate as narrators of this affecting story, their voices made distinct by Lane's ambitions and frustrations and by Sadie's artistic observations and pop culture references. Poignantly, Sadie fears the cure because Latham makes her feel special, a place where she's loved by friends and Lane. She worries the protocillin will return her to the "dreary, unappealing life" she left behind. Lane, on the other hand, is optimistic for both of their futures outside of Latham. Discover: Star-crossed teens dying from tuberculosis hope they'll live long enough for a cure, just weeks away. With welcoming illustrations, Tor Freeman (Olive and the Big Secret) opens Turtle and Me with a pregnant mother hanging pictures and creating a loving space for her soon-to-be-born child. Robie H. Harris (Mail Harry to the Moon) celebrates the stories that our families tell us and the importance of that first inseparable stuffed animal or blankie. This reassuring picture book is told from the child's viewpoint and shares his impressions about growing up--some of which were stories told to him: "I met Turtle on the day I was born," says the boy. As Freeman depicts the child growing larger in relation to Turtle, Harris zeroes in on what happens between them, such as messes, rips, holes (even vomit), and that point when, perhaps, a friend challenges the child to give up this beloved object. Harris delves into the developmentally appropriate purpose for a transitional object (to help ease confusion, loneliness and fear for young ones), as well as the love between the narrator and Turtle, crafting a story full of wonderful words and comforting language. "But as soon as I snuggled up with my soft and cuddly Turtle, I didn't feel lonely or sad anymore," the boy says. 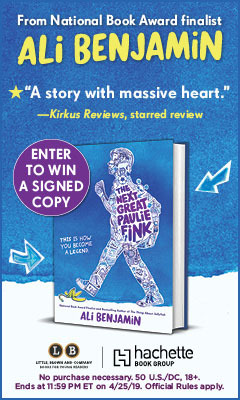 Discover: A love story about a transitional object that will reassure young readers through the boy narrator's connections and memories. Toni Buzzeo (One Cool Friend) and Jim Datz (How to Find Old New York) make an entertaining guessing game out of the tools of various trades, starring a diverse cast of professionals as they construct a house. A googly-eyed chalk line maker, chisel, jointer and float provide hints to the mason's job, revealed with the opening of a gatefold. "I smooth the cement until it's flat," says a fellow in overalls, demonstrating the float's role, as another carries bricks on a board. Datz makes sure all tools are visible in their context. The carpenters come next, with "level, square, saw and hammer." Buzzeo always includes one or two familiar tools so even youngest readers can get their bearings. Roofers use a ladder, for instance (along with a nail gun, snips and utility knife); electricians use a screwdriver and drill (along with a wire stripper and linesman pliers). Plumbers and painters also appear, and Buzzeo and Datz cleverly bring the action back to young readers (building with blocks). Thick cardboard pages ensure that the board book will stand up to repeated readings. The back cover showcases all 24 tools in vertical rows, in order of appearance, for easy reference. Discover: An entertaining board book guessing game of whose tools belong to which skilled trade professionals.